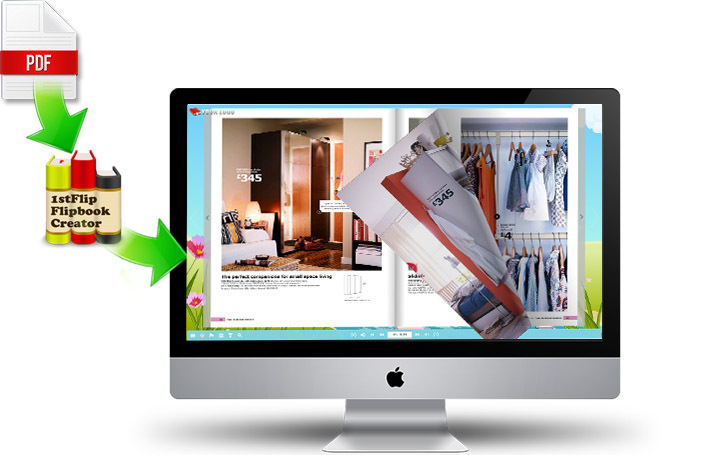 1stFlip Flipbook Creator for Mac/Windows is professional flipbook newsletter software which allows you to easily convert PDF to Flash/HTML5 newsletter with realistic page-turning effect. 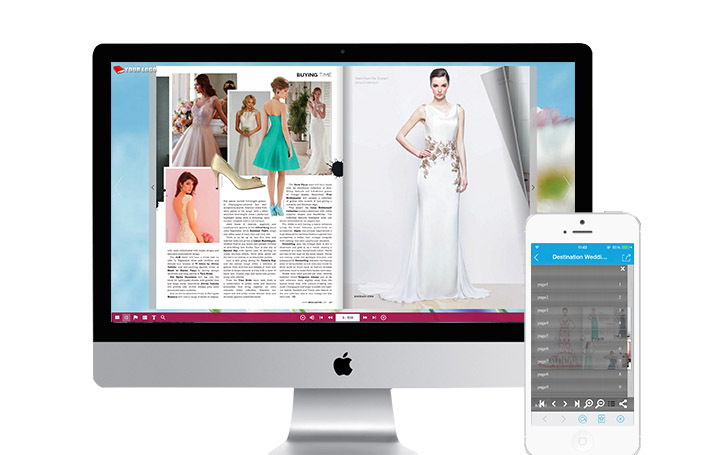 Professional Flash/HTML5 flipbook newsletter software for both Mac and Windows users. Enrich your newsletter content with local video, YouTube video, Vimeo video, music, GIF, etc. 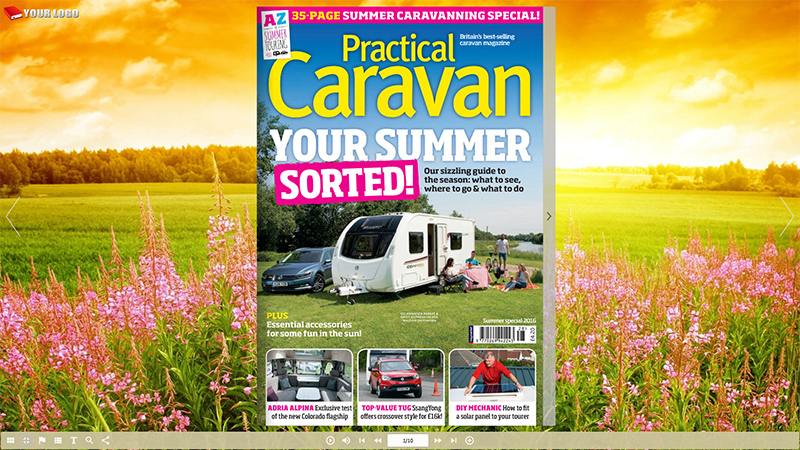 Readers can view your flipbook newsletter on any Mac, Windows, iPhone, iPad and Android devices. Enable/disable newsletter share, print, download, thumbnail, bookmark feature according to your preferences. 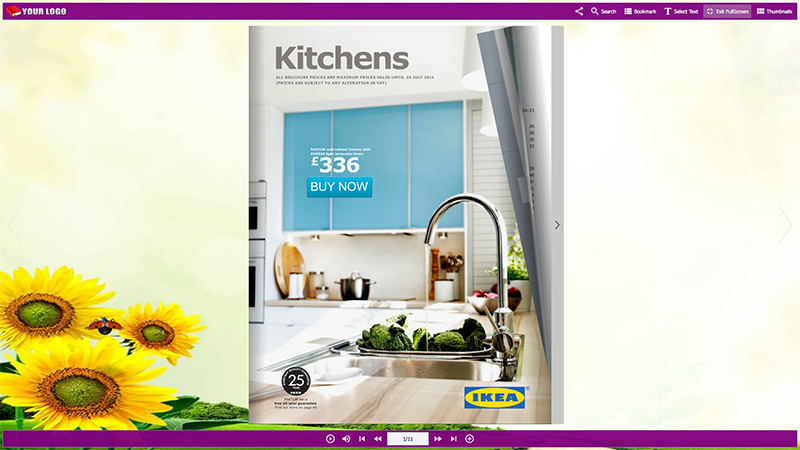 HTML5 flipbook newsletter page turning styles: Flip and Slide. Customize, distribute and store flipbook newsletters all-in-one. 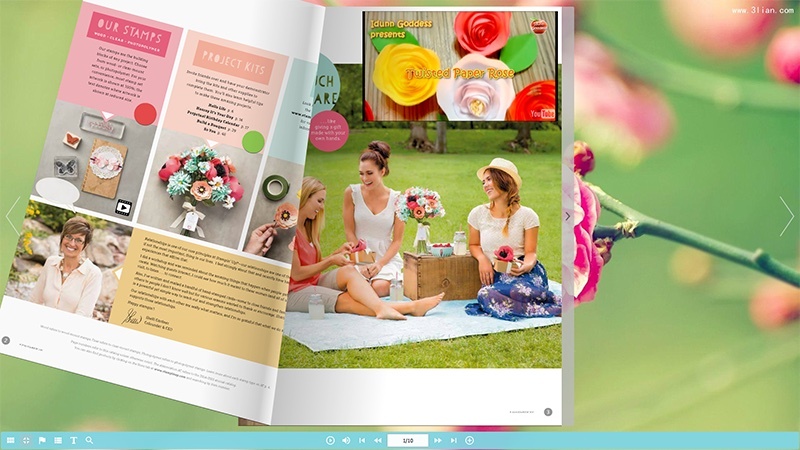 1stFlip Flipbook Creator provides multiple pre-designed template and scenes for you to customize your flipbook newsletter. Show or hide share, print, download, bookmark, search, thumbnail button on the flipbook newsletter toolbar according to your preferences. Add background music, logo, Google Analytics ID, etc. 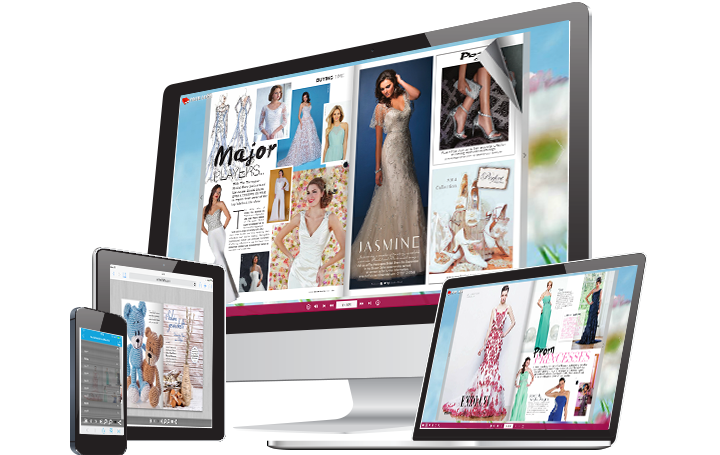 Readers can share your flipbook newsletter to social networks, print the newsletter or play/stop background music or video while viewing your flipbook. Newsletter reading has never been so interesting. 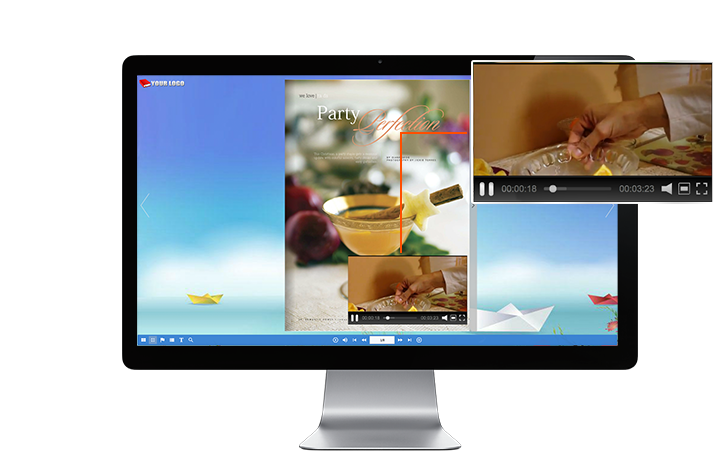 With 1stFlip Flipbook newsletter maker, you can easily embed local video, YouTube video, Vimeo video, music player, callout, chart, GIF to any flipbook newsletter page. You can upload your flipbook newsletter to 1stFlip Cloud/your own website, or publish offline flipbook and distribute it yourself. Before you can upload to 1stFlip Cloud, you need to create an account first. Flipbook newsletter can be protected by passwords, which helps prevent unauthorized access of your newsletter. 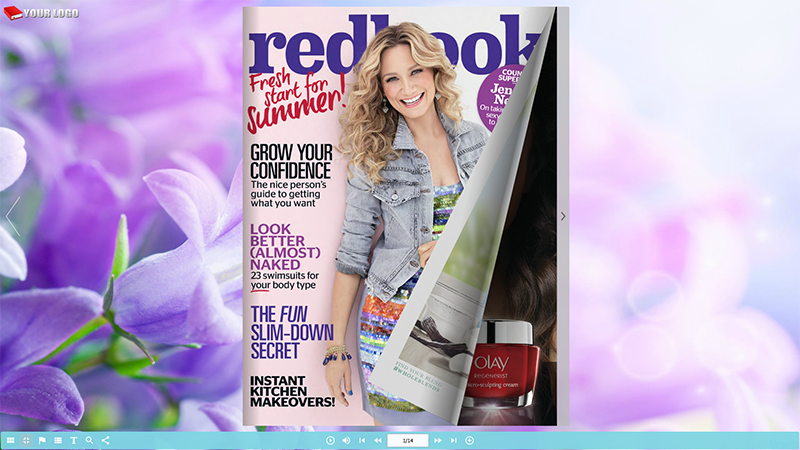 Readers can view your flipbook newsletter on any Smartphones, tablets, laptops, and desktops. You can publish Flash-HTML5 flipbook newsletter, which display Flash newsletter on desktop/laptop and HTML5 flipbook on tablet/smartphone. You can also publish pure HTML5 flipbook if you don't want to use Flash. 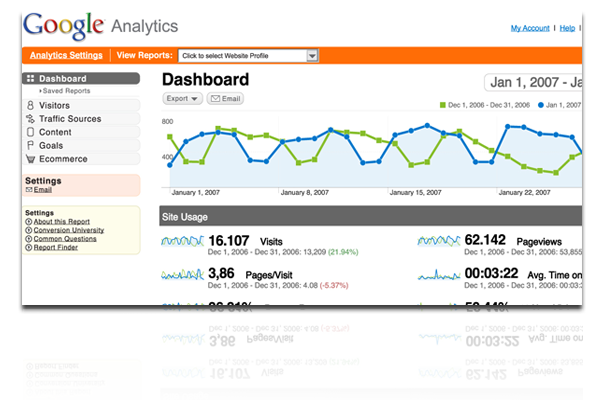 Get details on how readers find and use your flipbook newsletter by integrating Google Analytics. Track and understand the behavior of your readers and how they interact with your flipbook newsletters to make better-informed decisions on marketing. Select page turning style for your HTML5 flipbook newsletter: Flip or Slide. Add company logo to the flipbook newsletter to market your brand. Preview what your flipbook newsletter looks like on smartphones/tablets within the software. Flipbook newsletter toolbar are available in multiple languages.